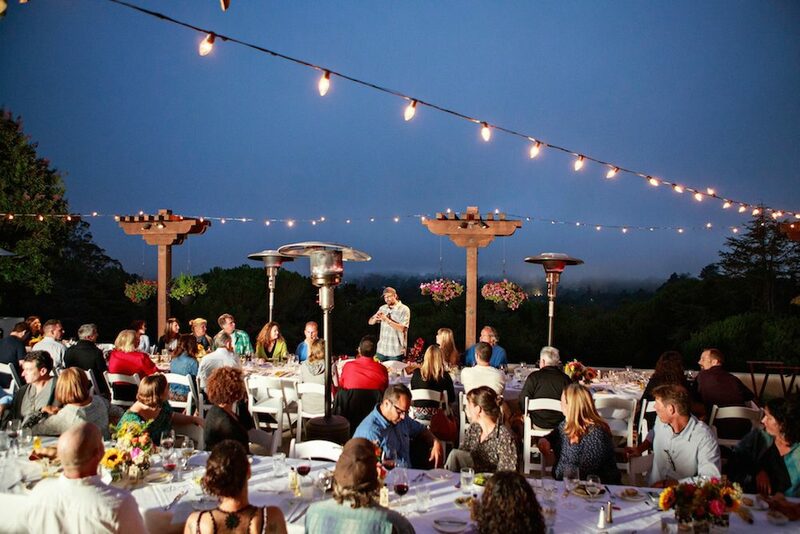 Chaminade Resort’s annual Farm to Table Dinner series, which features very fresh items from local farms plus delectable libations from Central Coast wineries, is starting soon. Want to whet your appetite? Read my recap of 2014’s opening night feast. The cost is $110 per person and that includes hors d’oeuvres (served at the 6 p.m. reception), a seated five-course dinner at 6:30 p.m., and wine (served at reception AND dinner). Tax and gratuity are excluded. Call (831) 475-5600 or visit web site for details, including links to the wineries and farms that are being showcased. The specific menu is posted as each event draws near. Chef Kirsten Ponza promises an exciting season. “We are very excited to be welcoming a new farm Pescadero called LeftCoast GrassFed,” says Ponza. “Also, Rebecca King will be coming back this year with her Garden Variety Cheeses.” I’m a big fan of Garden Variety Cheese; if you haven’t yet tried King’s products, or even if you have, I can only imagine the scrumptious and creative ways that Ponza will incorporate them into her menu! Chef Ponza hasn’t yet decided which night she will feature these, but when she does, it will be posted on the Chaminade site. For people visiting from another town who want to stay overnight—or for locals interested in a fun “staycation,” the Chaminade offers Farm to Table culinary packages that include overnight accommodations for two, Farm to Table dinner for two, and breakfast for two. Chaminade’s first Farm to Table Wine Dinner was held in 2008 with only a dozen guests. Now each event draws dozens of guests, and usually sells out quite a while ahead of time. Monthly, June through October 2015: Selected Fridays at 6 p.m.